Dr Sean Flanagan is a dual fellowship trained ENT surgeon (otolaryngology head and neck surgery), sub-specialising in diseases of the ear, tumours of the skull base and in surgical correction of hearing loss including cochlear implantation and bone anchored hearing aids. He is equally comfortable in the management of general adult and paediatric ENT disorders. 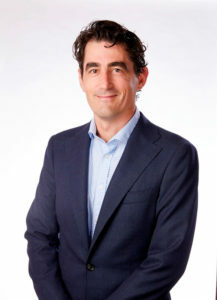 He is currently a VMO ENT Surgeon at St Vincent’s Public and Private Hospitals in Sydney, as a member of the ENT, otology and skull base surgery department, and is a conjoint lecturer at the University of New South Wales. The Otology and Skull Base Surgery Unit has an international fellow, with the overall department responsible for 2 advanced ENT trainees. He consults on the St Vincent’s Hospital Campus at Sydney ENT Clinic, 67 Burton St, Darlinghurst [map] as well as in Miranda [map] , located in the Sutherland Shire. Once a month he conducts a sub-speciality otology and skull base clinic in Wollongong. He is also appointed at Sutherland and St George Hospitals, Kareena Private Hospital and Prince of Wales Private Hospital. These appointments allow the management of all cases in both the public and private medical systems. Following completion of his ENT training, he spent two further years pursuing post-fellowship sub-specialisation in otology, neurotology and skull base surgery. The first year was spent at St Vincent’s Hospital under supervision of Professor Paul Fagan, the pre-eminent otologist and skull base surgeon in Australia. The second year was spent at the Gruppo Otologico, in Piacenza, Italy, under the supervision of Professor Mario Sanna. This unit is the busiest skull base and neurotology unit in Europe. Dr Flanagan regularly presents to the public, patient groups, GPs and ENT trainees, as well as to local and international conferences. Co-convener St Vincent’s Hospital Sydney Audiology Conference 2019 with live surgery. November 2018. Co-convener, Live Surgery (cochlear implantation) Hyderabad ENT Hospital temporal bone and liver surgery course. October 2018, Hyderabad, India. Cochlear Implant Update, presentation and live surgery (cochlear implantation) AOISOUTHCON 2018, October 2018, Mandya, India. Presentation with A/P Nigel Biggs outlining challenges in the management of NF-2, at Innaugaural NF-1, NF-2 Symposium. Update on the surgical management of conductive hearing loss. ASOHNS annual general conference, Adelaide. March 2017. Co-Convener at the annual St Vincent’s Hospital Sydney Audiology Conference including lectures to audiologists and performance of live ear surgery. Co-Convener at the annual St Vincent’s Hospital Sydney Temporal Bone Course yearly including lectures to ENT surgeons, ENT trainees and performance of live surgery. Co-convenor Cochlear Coorporation Advanced Surgical Workshop for visiting international surgeons. Live surgery demonstrating cochlear implantation and the new BAHA Attract system. Update in the Management of Meniere’s Disease, including medical and surgical techniques. To the Meniere’s Association of NSW, May 18th 2011. Presentation at the ASOHNS (Australian Society of Otolaryngology and Head and Neck Surgery) annual conference titled “Update on the conservative management of vestibular schwannomas”, and chaired a free paper otology session at the same conference. Garvan Institute’s Seminar on aging in terms of the impact of age and noise exposure on hearing loss. A series of lectures to the Kogarah Division of GPs on aspects of ear disease and hearing loss. Presentation to the yearly GPCE, a large GP conference, giving an overview of ear disease. Presentation at the Spring Emergency Medicine Conference giving an overview to Emergency Medicine Physicians regarding emergency ear nose and throat and head and neck problems. Microsurgery of Skull Base Paragangliomas has recently been published by Thieme. 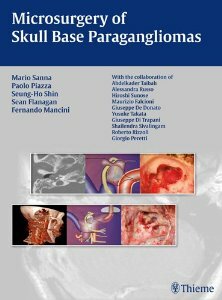 It is a comprehensive text book detailing the complex management of paragangliomas of the neck and skull base. It distills a vast experience in the management of these difficult tumours.